Sign up for Broadjam today to follow WILL TOMMY JONES, and be notified when they upload new stuff or update their news! 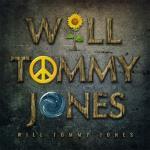 WILL TOMMY JONES national television commercial advertising the release of their debut album on MTV, VH1, truTV etc. the release has been set for August 13th 2013 by TATE MUSIC GROUP.